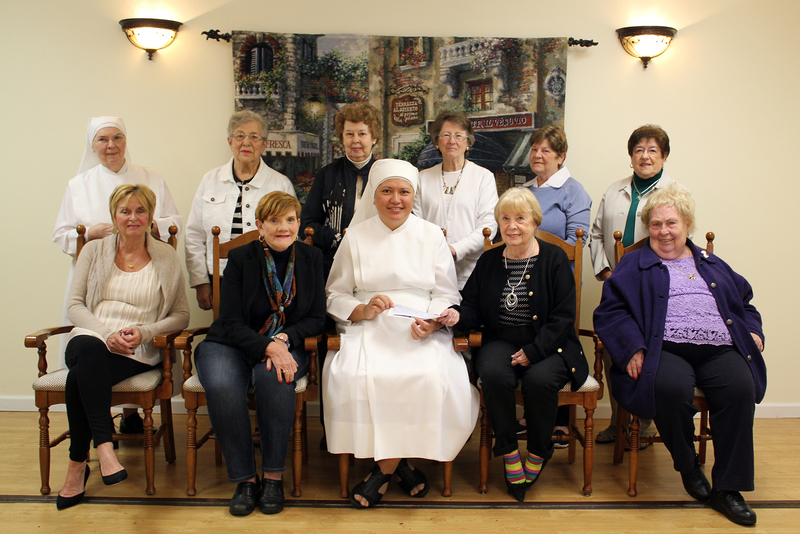 Cards for Charity recently raised $2,200 for the Little Sisters of the Poor at Holy Family Residence. The successful fundraiser took place at the organization’s annual card party on Thursday, Aug. 17, at the Elmhurst Country Club. The fundraising party included a luncheon followed by an afternoon of bridge, mahjong, pinochle, and dominos along with a basket raffle and pleasant conversation. The Little Sisters also sold their famous scones and cookies. All proceeds will be used by the Little Sisters to provide physical, emotional, and spiritual health services to the residents entrusted to their care. Pictured presenting the check to Mother Theresa Louisa, l.s.p., superior of the Little Sisters of the Poor’s Scranton community are seated left to right: Rosemarie Martin; Betty May, co-chairwoman; Mother Theresa Louisa; Barbara Whitford, co-chairwoman, and Maureen Pesavento, event secretary and treasurer. Standing left to right: Sister Marie Therese, l.s.p. ; Rose Baas; Joyce Tressler; Marianne Ferrario; Joan Hrycow, and Liz Yurkovic. Also serving on the committee was Mary Ann O’Boyle; Mary Lynn Sciaccia; and Mary Ann Hazzouri.